Do you have a podcast, or perhaps an idea for a new one? Perhaps hosting fees or finding ways to promote your show are a barrier you’re struggling to overcome on your own? Well we have an answer! PodHaven is Indie Haven’s official podcast network and we’re still finding our feet. Most of our current shows are hosted primarily by the core Indie Haven team and carry our own distinct style, and we’d like that to change! We’re looking for interesting podcasts from hosts new and old from all backgrounds with their own unique ideas, be they gaming-centric or otherwise. Benefits of joining PodHaven include the option to upload directly to our podcast feed, saving you money on hosting fees and giving you immediate access to an established audience, as well as having promotions for your show played in all of the other shows on the network and having all of your episodes posted to the PodHaven section of the Indie Haven site. All that we ask in return is that you insert promos for our other shows into your own podcast! Should we accept your podcast onto the network you’ll have no obligation to stay affiliated with the site if you want to move on, and full control over your own creative direction and rate of output so long as you continue to meet Indie Haven’s standards of quality. 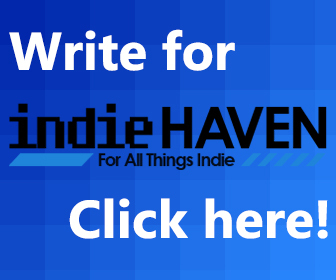 PodHaven is somewhat of a passion project for me as the Podcast editor at Indie Haven, and I want it to grow, prosper, and nurture new talent just as Indie Haven itself has done for the last five years. So send us your podcast or pitch via the contact form below, or by email to podhaven@indiehaven.com with PodHaven Pitch in the subject line. We can’t wait to hear from you!